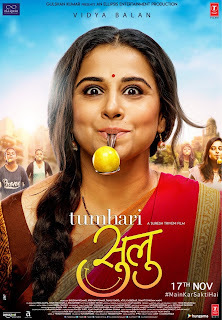 TumhariSulu ka ek aur andaaz! #TumhariSulu ka ek aur andaaz! There’s nothing this adorable Sulu cannot do, including shining in a lemon-and-spoon race! Presenting the film’s Poster #3. Releasing worldwide on November 17, 2017.